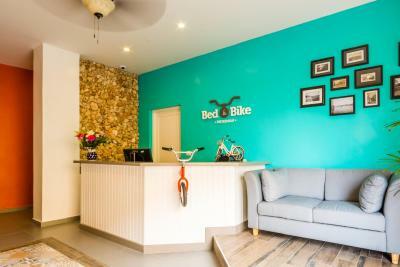 Lock in a great price for Bed & Bike Curacao – rated 9.2 by recent guests! 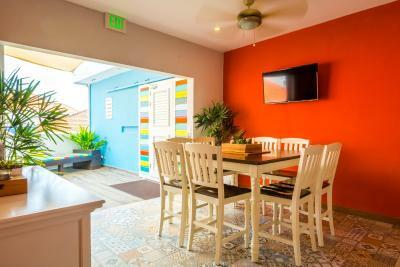 In a good location to walk to the downtown main attractions and an area of decent nightlife. Very clean, spacious lockers for each bunk, and privacy blinds on each bunk with electrical outlets and reading lights on each bunk. 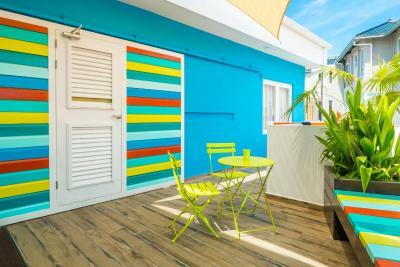 They have cars available on site which you'll need to explore beyond the immediate area, as Curacao is a sizeable island. Stayed for a week with my husband - room was clean, bed was comfortable, staff was extremely helpful. This is a budget hotel, so the rooms are very basic. However I think it's a good value for money as you would pay 2-3 times more for any resort. I loved everything about this property for the most part. Comfy beds and and a nice shower. The staff were really helpful as well. So much so that I’ll be back next week! 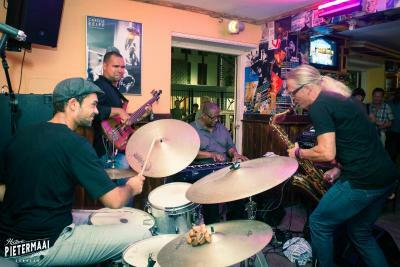 The place is located in a very centric zone of Willemstad just across Otrobanda and a few blocks away from Queen’s Emma Bridge. The staff is very nice. Options to rent bikes or cars. Restaurant around the corner. Privates with a very clean bathroom and generous space. Super friendly and helpful staff. the restaurant has the best breakfast and coffee! 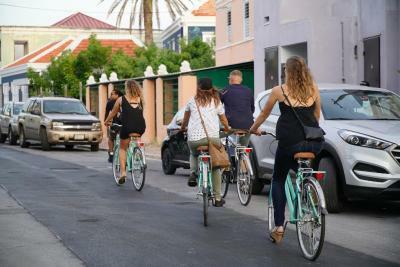 Bikes are a wonderful touch and they also rent cars and snorkel gear. Beds are also very comfortable. 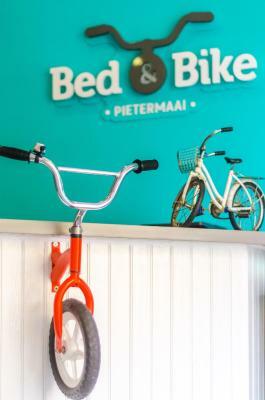 Bed and Bike Curaçao is nice and clean, comfortable beds, and in a great central location for exploring Willemstad. Friendly staff, and a nice little restaurant/bar on-site. The owner was super nice :) They know about traveller's needs (polite!). Free rental bike. 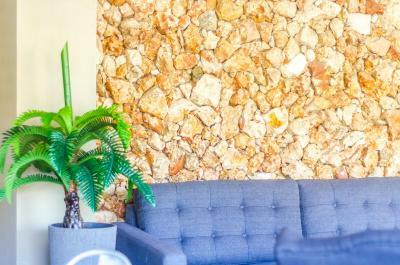 Walking distance to downtown and Otrabanda. The bus stop is next door and very convenient for all the routes, especially A2 and C2 to the airport. Young and cheerful stuff always ready to help. The maid from Venezuela, taking care of the second floor, sings amaisingly! Rooms and bathrooms were good and comfy. You have a small private place in the shower for changing, and in the rooms there are lockers for your stuff. AC was good since the nights are hot. 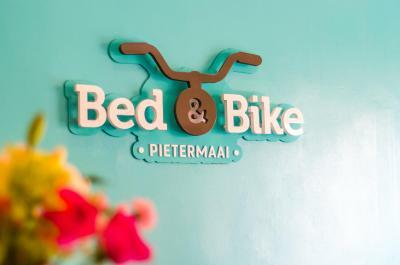 One of our top picks in Willemstad.Located in Willemstad, Bed & Bike Curacao in the Pietermaai District provides free bikes and free WiFi. 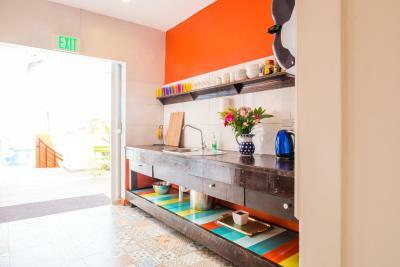 Featuring a shared kitchen, this property also provides guests with a restaurant. 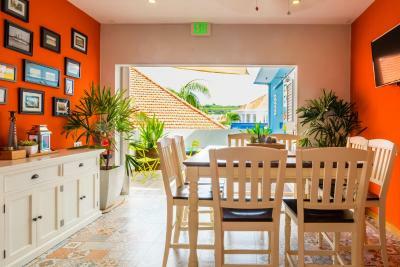 The property is 0.6 mi from Queen Emma Bridge and 2.5 mi from Curacao Sea Aquarium. 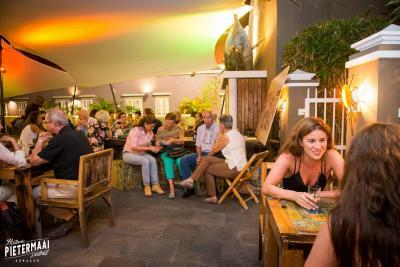 All guests have access to the shared terrace. 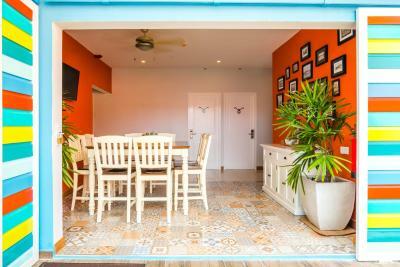 Rooms are equipped with air conditioning, and certain rooms have a balcony. 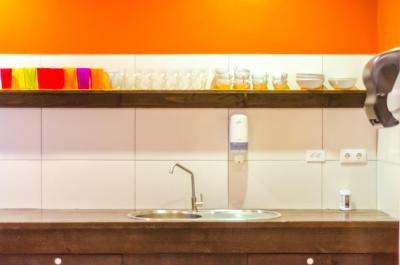 Featuring a shared dining area and kitchenette on each floor equipped with a refrigerator, microwave and other small appliances. 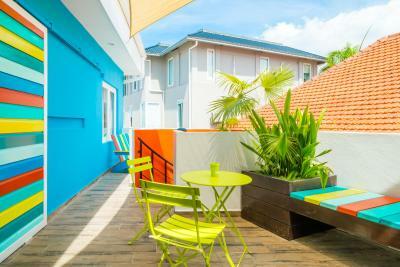 Each room has access to the outdoor terrace. A continental breakfast starting at $5 is served each morning at the hotel restaurant. 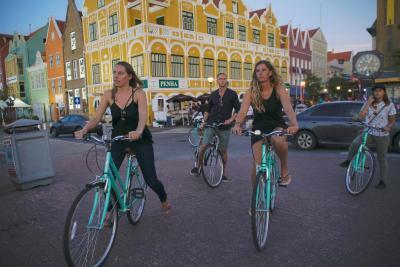 Cycling is among the activities that guests can enjoy near Bed & Bike Curacao. Jan Thiel Beach is 0.3 mi from the accommodations. 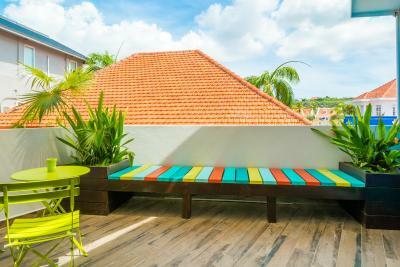 뀐 Located in the top-rated area in Willemstad, this property has an excellent location score of 9.5! 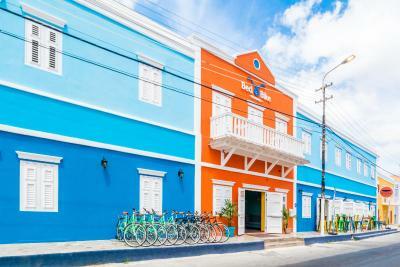 When would you like to stay at Bed & Bike Curacao? 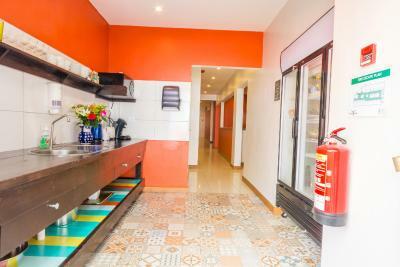 This double room has air conditioning, tea/coffee maker and kitchenware. 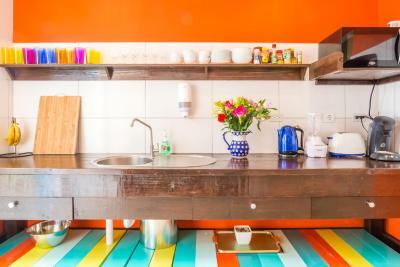 This double room has a kitchenware, air conditioning and dining area. This bed in dormitory has a tile/marble floor, air conditioning and dining area. Each dorm bed has it's own storage space for your personal belongings. 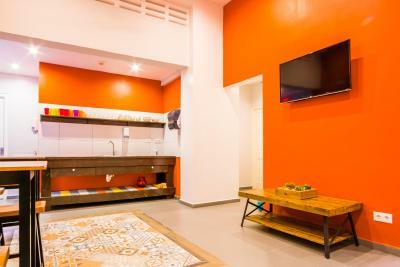 This bed in dormitory features a kitchenware, kitchenette and air conditioning. Each dorm bed has it's own storage space for your personal belongings. 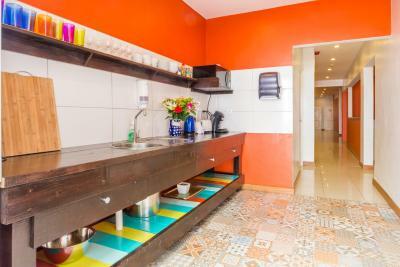 This bed in dormitory has a tile/marble floor, dining area and tea/coffee maker. This bed in dormitory has a dining area and tea/coffee maker. Each dorm bed has it's own storage space for your personal belongings. 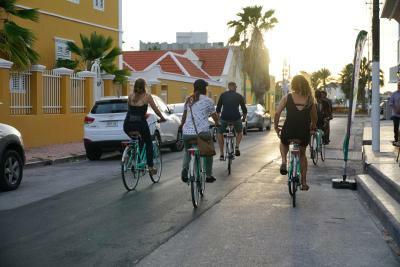 House Rules Bed & Bike Curacao takes special requests – add in the next step! 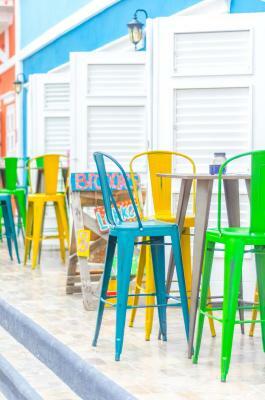 Debit card Bed &amp; Bike Curacao accepts these cards and reserves the right to temporarily hold an amount prior to arrival. 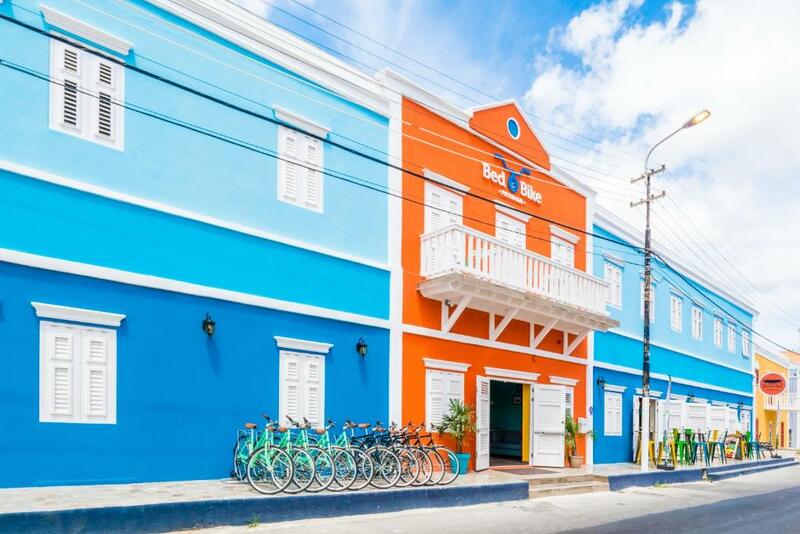 Bed & Bike Curacao accepts these cards and reserves the right to temporarily hold an amount prior to arrival. 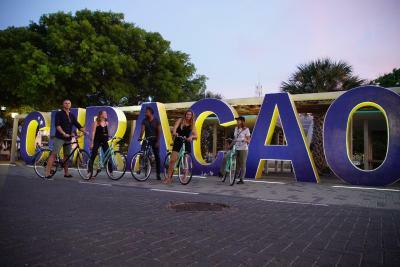 Please inform Bed & Bike Curacao of your expected arrival time in advance. You can use the Special Requests box when booking, or contact the property directly using the contact details in your confirmation. Bathrooms were non air conditioned and very hot. The place is marked a block away on Google maps, drive to the UNO restaurant and it's next to that. Electrical Outlets are European, and you may need an adapter when most of the rest of the island is western and has US type plugs. First of all: the bikes definitely don't look like on the pictures anymore and we only used them once.. Moreover the kitchen DOES NOT have a stove... this was really disappointing. A blow dryer and mini fridge in room would’ve been nice. . . Bikes were fun but a bit scary to ride around in traffic. Location in historic area was great. Simple hotel room but that’s all we needed. Total deal for the money we paid. Very clean. Very helpful staff. No storage space in the room even not a chair so everything had to be on the floor. Kitchen had only microwave instead of a cooker. Very helpful friendly staff. Very central. This is in a great location, on a quiet street, and just a short walk away from everything in Pietermaai. 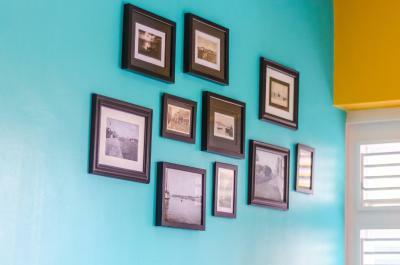 The staff are very friendly and helpful, and the rooms are clean. We had a private room, which was comfortable, and didn't have trouble finding street parking. The restaurant attached is very convenient. 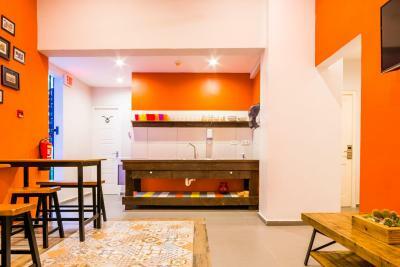 This was a great hostel, for a great price, in a great location. Would definitely recommend to others. The bed is different from most of other hostels, which is more like the loft beds in sleeping car of trains and mostly sealed, maybe a problem for someone. 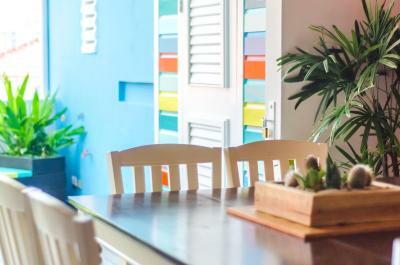 As one of the very few hostels in Curacao, this hostel truly surprised me with its cleanliness and comfort. 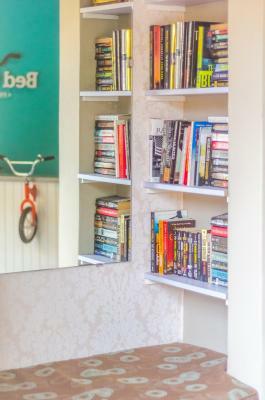 You can even rent a bike(WITH HELMET!) for free from them! unfortunately there was no desk or table in the room. 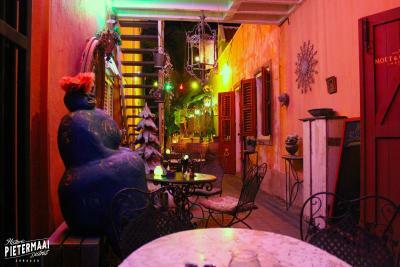 Very good location, nice staff, we could rent a car for a very fair price, nice little cafe next door. The staff were very friendly, knowledgeable and accessible. They were really great at helping figure out busses and taxis for places that weren’t within walking distance or just to answer basic questions. 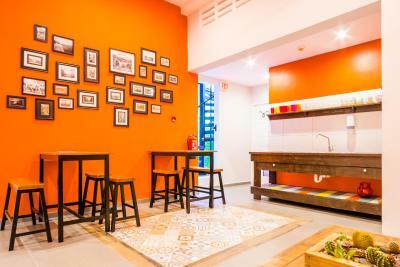 The hostel is situated in a great location with tons of restaurants and bars within walking distance. The private room itself was comfortable, and even included a TV with Netflix. 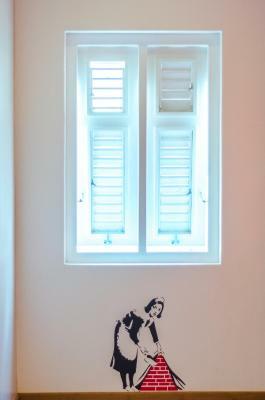 Cute little balcony and an alarm system as well to make you feel secure. En-suite bathroom had a lovely rainhead shower with good pressure. The private room was cleaned daily which was nice. The attached restaurant downstairs had wonderful staff and absolutely delicious food! Not that I “didn’t like” it but it seems a little outside of the city center. But it’s only a quick walk to everything! I stayed in a private room, so I can't comment on the shared dorm rooms. 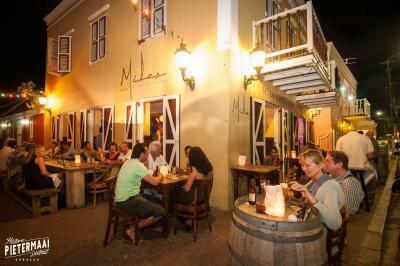 Excellent location in Willemstad. Loved having a bike to explore the island for free. They let me rent a bicycle from them after I checked out as well, which was really useful. Nice hot shower and comfortable room. Good restaurant attached to the building.